Many books recommend teaching and learning strategies based on current learning research and theory. 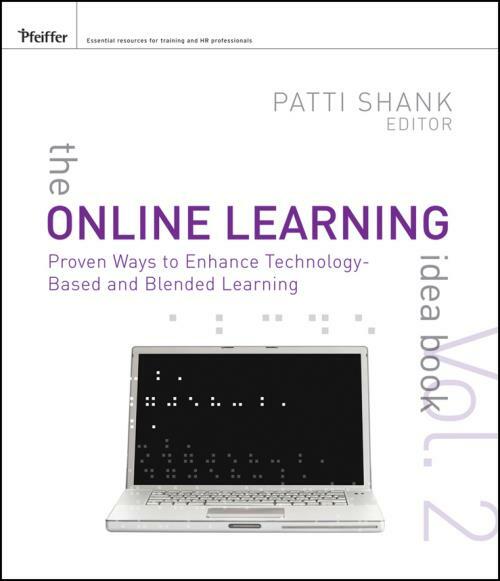 However, few books offer illustrative examples of how to take these strategies and put them into action in the real world.The Online Learning Idea Book is filled with concrete examples of people who make learning more inspiring and engaging every day, in all kinds of settings, all over the world. In this second volume of The Online Learning Idea Book you will find brand new and valuable ideas that you can adopt or adapt in your own instructional materials, to make them more dynamic and more worthwhile for learners and learning. These ideas will let you peek over the shoulders of some of the world′s most creative instructors, instructional designers and developers, trainers, media developers, and others in order to help spark creative ideas of your own. This hands–on resource will help you build online instructional materials or improve existing materials including online courses, modules, activities, or supplementary materials for classroom–based courses. This book provides great tips, techniques, and tricks in the following areas: The Design and Development Process, Supporting Learning, Synchronous and Interpersonal Activities, Asynchronous and Self–Paced Activities, and NS Better Media. Within these pages you will discover creative ways to give your online and blended instruction a boost by adopting and adapting great ideas from others.